A Hydration Support Formula with Ultra-Pure, Vegan Hyaluronic Acid Hyaluronic Acid (HA) can attract up to 1,000 times its weight in water. The molecular size of HA determines its depth of delivery in the skin. This formulation combines low-, medium- and high-molecular weight HA, as well as a next-generation HA crosspolymer at a combined concentration of 2% for multi-depth hydration in an oil-free formula. This system is supported with the addition of Vitamin B5 which also enhances surface hydration. 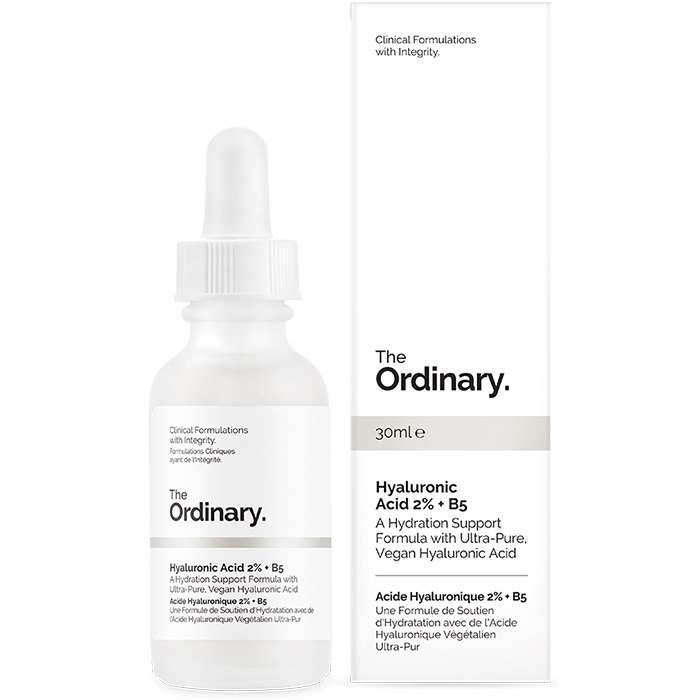 A more advanced HA formulation with 12 forms of HA, including precursors of HA, is offered by our brand NIOD in Multi-Molecular Hyaluronic Complex. Note: Hyaluronic Acid is found in the skin naturally but its natural function within the skin is not hydration. Many products have used HA to claim hydration benefits, but HA is too large of a molecule to penetrate the skin and instead sits on the surface and can draw moisture out of the skin making the surface feel soft and hydrated temporarily, while making you feel like you need more HA after the product is rinsed. This formula uses three forms of HA with varying molecular weights, as well as an HA crosspolymer, to offer multi-depth hydration and visible plumping without drawing water out of the skin solely to improve temporary surface hydration. Directions Apply a few drops to face AM and PM before creams. Absorbs instantly for beautifully plump, hydrated skin. This serum is truly amazing! Super hydrating, smooths and plumps the skin beautifully. I use this am and pm. 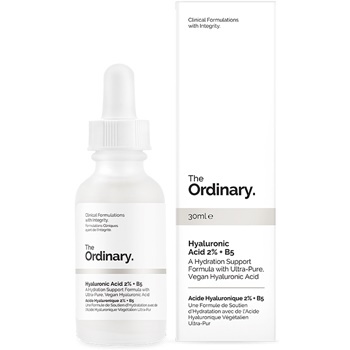 All The Ordinary products are totally affordable with amazing results. It feels wonderful on the skin and absorbs quickly. It plumps my lines and wrinkles. Can't say enough good things about it. It works and you need this in your life.